Can Myanmar’s Soccer Teams Win at SEA Games? Analysis: Did Advisory Commission Remedy Rakhine State’s Conflict? 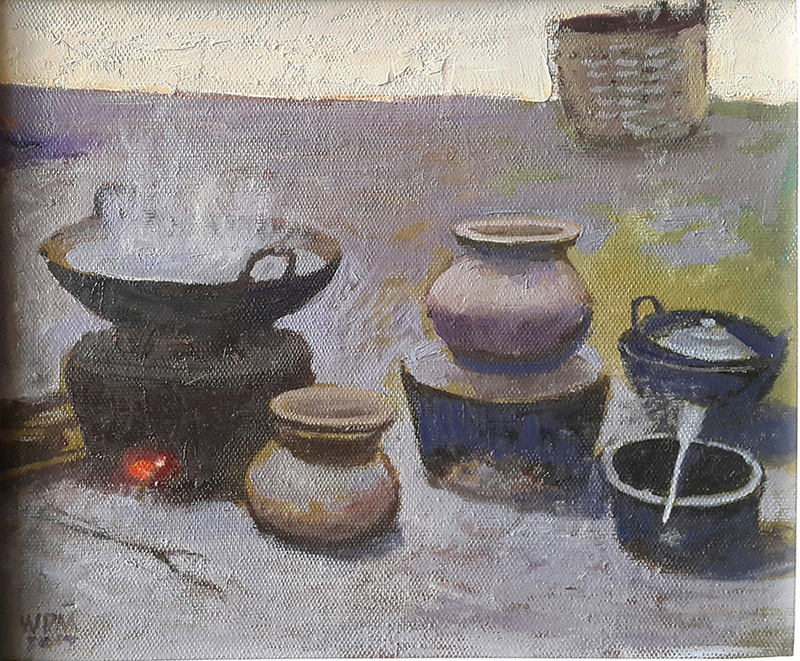 Two artists depict life in the central plains, in a gallery show at Aung San Stadium. Last month, Win Pe Myint and Phoe San visited townships such as Minbu and Sagu in Central Myanmar, known as Anyar in Myanmar language. 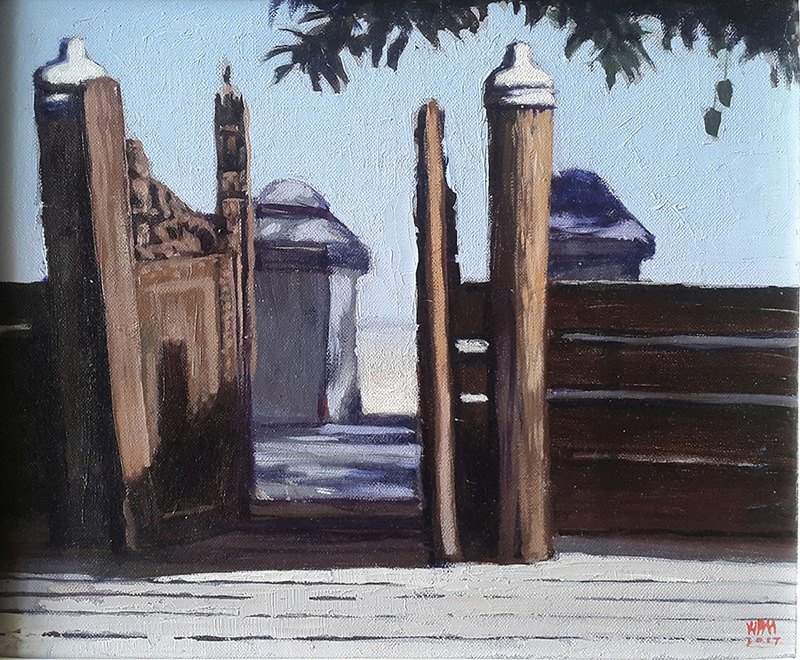 The two artists spent a week in Anyar, and came back to Yangon with bundles of gifts – not typical Anyar souvenirs like jaggery, plum jam, and horse gram sauce, but paintings depicting the lifestyles, pagodas, stupas and cultural buildings of Anyar. 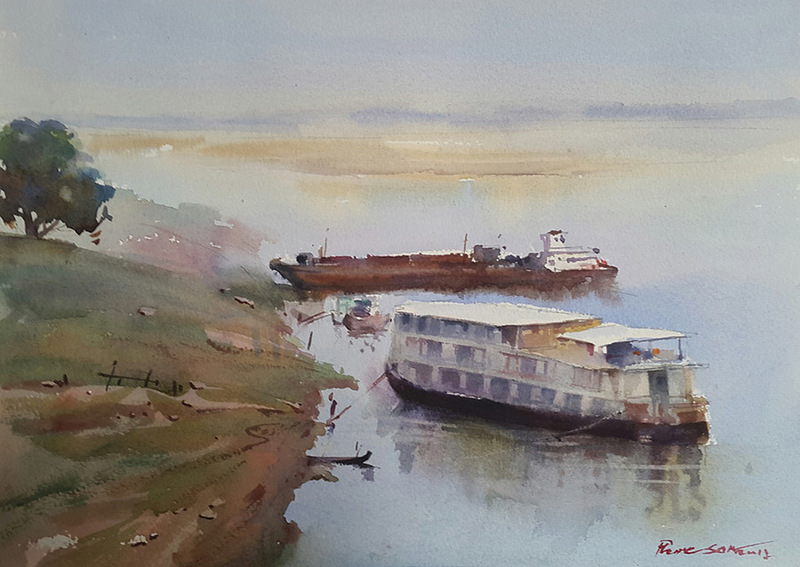 Phoe San is a graduate of the State School of Fine Art (Yangon) and Win Pe Myint is a noted artist and an art teacher. The two will be showcasing their paintings from August 26-31 at the newly opened OK Art Gallery in the north wing of Aung San Stadium in Yangon. From dawn to dusk during their weeklong stay in Anyar, the two captured many aspects of the culture and lifestyle of the plains. In the early mornings, they visited monasteries, jetties, and houses. It is typical of Anyar people to build more than one house on a compound where extended family lives together, and where cattle and poultry are also kept. The two artists did not mind painting directly under the scorching Anyar sunlight when they found something that attracted them. For some of the paintings, they waited hours to get the right color or timing. 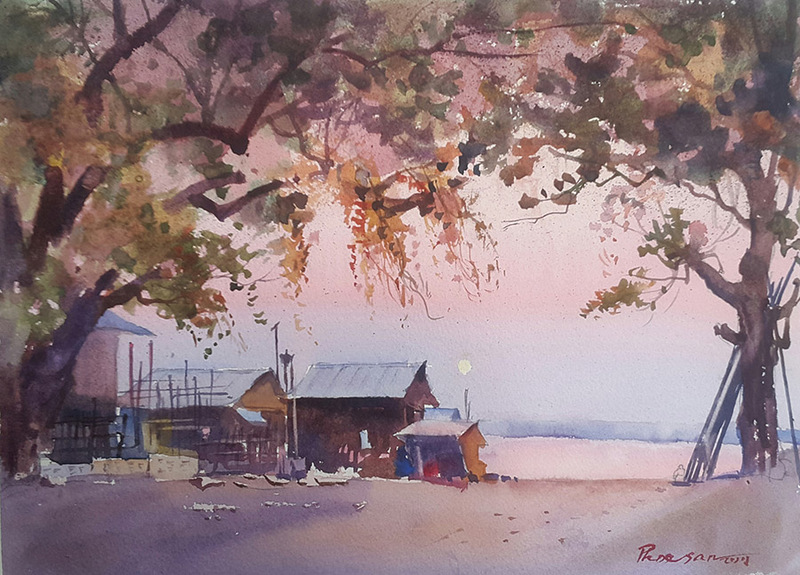 “The painting of the sunrise from the Minbu [Irrawaddy River] Bank is memorable. On the first day, the sun rose a bit and I didn’t get the color I wanted; I only saw the yellow sun. So, I waited for the sunrise the following day. Then, I got the pink color that I wanted,” Phoe San said. Phoe San said he was happy about his art tour with mentor Win Pe Myint, but was upset to see the deteriorating ancient monasteries. “I’m sure you’ll miss Anyar when you come and see this exhibition,” said Phoe San. “The visitors will feel that they were in Anyar,” said Win Pe Myint, who is known for his still life works. “We’ve tried to make sure these paintings give the full essence of Anyar,” he said. Each of the artists will feature 25 paintings, priced between US$150 and $500.